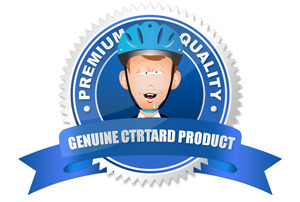 If you've been in the online marketing industry for any length of time, you've probably heard of or seen Ctrtard.com This irreverant online marketing blog is popular for giving away useful, technical tips and scripts, and helping online marketers do more for their business. The first commercial product released under the Ctrtard brand was Landing Page Genius. Released in 2012, it quickly became an indispensible tool for many online marketers-- allowing them to optimize their landing pages using the power of either Prosper202 or CPV Lab. Because it's fast, simple, and economical, it still enjoys continued success and accolades from some of the industries most successful and respected online marketers. Later in 2012, Adcalc was launched. Adcalc is a suite of free internet marketing calculators that allows marketers to perform useful calculations such as determining ROI, CTR, converion rate, EPC and more. It also has more complex business planning calculators such as a PPC Campaign Calulator and a Split Testing Calculator. The future of the Ctrtard brand is bright. With an eye for what software the online marketing industry really needs, multiple new and innovative products are currently in production and slated for release in the coming year. If you have a question, comment, or an idea for a product you'd like to see or just want to tell us how we're doing, please drop us a line via the contact page.